For 40 years, Aphex has been at the heart of professional audio, recording, broadcast, live and installed sound. 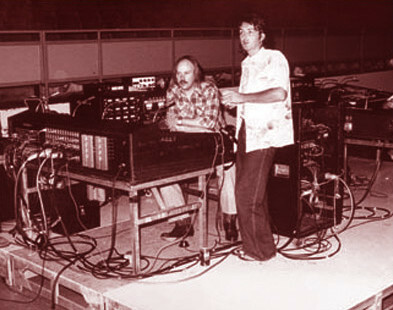 For 40 years, Aphex has been at the heart of professional audio, recording, broadcast, live and installed sound. It’s a legacy we’re proud of, a legacy we continue to build upon as we launch new products and technologies and expand into new market segments. Everything we do is driven by our passion to help artists, engineers, industry professionals and emerging creators make their vision come to life using their Aphex equipment. Whether you’re performing, recording, broadcasting or in a live sound context, Aphex is committed to providing the cleanest, clearest and most effective signal and dynamics processing technologies available on the market. We are creating exciting opportunities for people to experience Aphex technologies in new ways. The RØDE Microphones’ gamechanging RØDECaster™ Pro Integrated Podcast Production Console is the first all-in-one podcast solution to truly capture the magic of a professional radio station, thanks to Aphex Aural Exciter™ and Big Bottom™ on-board. Innovation and performance are the key directives at Aphex today. Every product, program and support effort has a singular goal: to provide the best performance and customer satisfaction. 40 YEARS OF MAKING MAGIC.